They're not mad; they're just a little disappointed. At Cloak & Petal, the staff aims to please, and that's just one reason its bar manager, Faisal Asseri, was so sad when he had to break a patron's heart. "The customer was not into the craft cocktail scene, and once he took one look at our beer menu, he was seemingly heartbroken because we only carry beer on draft," Asseri recalls. "He was dead-set on just having what he called a 'normal beer, like a Bud Light or a Sculpin.'" While Cloak & Petal offers many drinks—for example, a Japanese to English, which is a twist on the classic Manhattan, or a Hitachino Nest White Ale—it does not have Bud Light. And that, of course, is the case at many cocktail bars: there are a dozen or more delicious cocktails to be had, but limited wine and beer offerings. And yet, according to the bartenders with whom we spoke, many patrons still skip over those mixed drinks in favor of a beer. 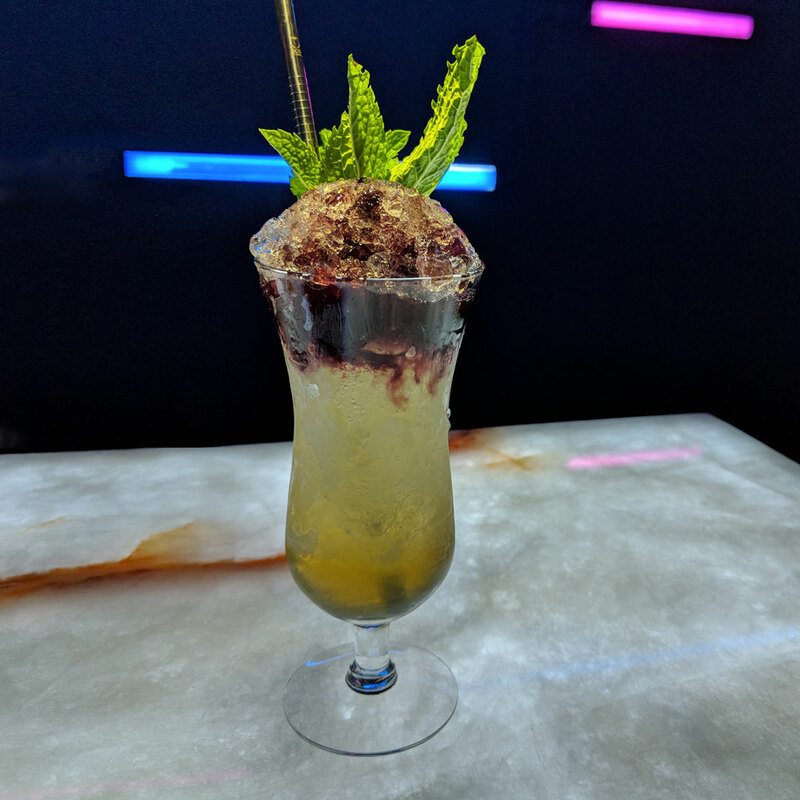 "I feel that cocktail bars exist to emphasize the craft of the cocktail, and the artistry and work that go into it," Asseri says. "To mixologists, it’s not just about bartending and making drinks, but taking an expansive library of spirits and ingredients and manipulating them all into a drink that will taste great and leave a smile on a guest’s face. Don’t get me wrong, there are times when a beer or a shot are the only things I want—but letting a bartender express themselves and create is just as rewarding." But even though bartenders who work at craft cocktail bars are often highly-trained mixologists, they're surprisingly chill about fulfilling a simple beer or wine request. "Some people are used to vodka sodas and whiskey gingers, which is great—we all have our go-to drinks," says Asseri. "But the first thought that runs through my mind when people avoid craft cocktails is that they’re hesitant to try something because it is new and unexplored to them." That, Asseri says, is what mixologists find a shame. Ryan Andrews, GBOD Hospitality Group's beverage director and Prohibition's lead bartender, gets almost as many orders for bottles of Bud Light and shots of Fireball as he does for one of the bar's mixed drinks on its cocktail list. "We have a great reputation as a craft cocktail bar, so you would think guests would understand that we do things a bit differently," Andrews says. "We also get a lot of requests for [wine], and that becomes upsetting because we think, guest sought out our bar, waited in line, and most likely paid a cover charge on a weekend night—but didn’t take the time or opportunity to learn about what we offer as a bar, or who we are as a staff. It’s like waiting in line at a sushi restaurant and then ordering a rice cake." But Andrews gets it: "Most people drink whatever they’re conditioned to drink," he says, "and it becomes a routine." Andrews can even wax poetic on why people might be drawn to a beer or a glass of wine. "Ultimately," he admits, "we’re here to provide relief from the storm that is everyday life, so I don’t care as much about what a guest orders as much as I care that you’re enjoying your beverage and the atmosphere. I just really wish guests would ask questions before firing off a basic drink order." To Lucas England, beverage director at Mortar & Pestle, "guests who order beer are not disappointments, but opportunities," he says. What's more, he readily admits, he and other mixologists count on those simple orders to help them through the night. "The reality is if every single guest ordered a hand-crafted cocktail, we might not be able to get everyone a drink in a fast manner," England says. What's more, he adds, "after their beer, a guest might just see all the fun we are having with cocktails and decide that is his next drink. And offering choices is the cornerstone to a great bar."